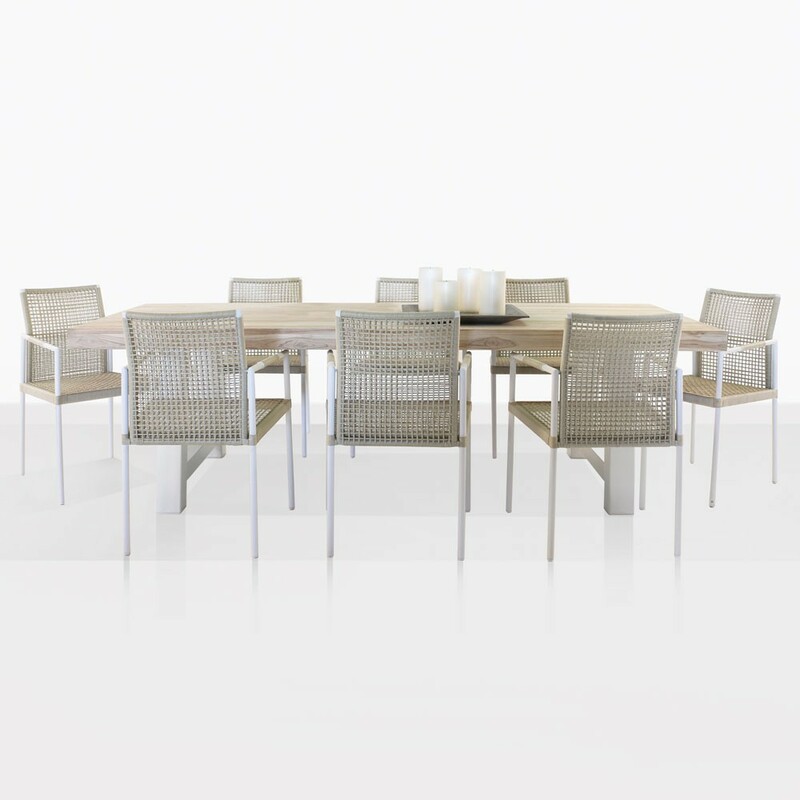 An incredible mix of traditional style with modern looks, this Outdoor dining set is a fantastic addition to any space. 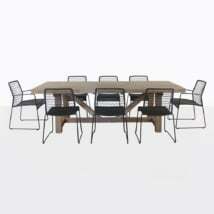 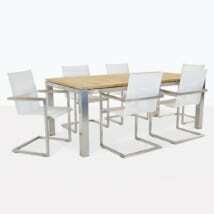 We paired the incredible, monolithic Village trestle table with 8 Moderno Dining chairs. 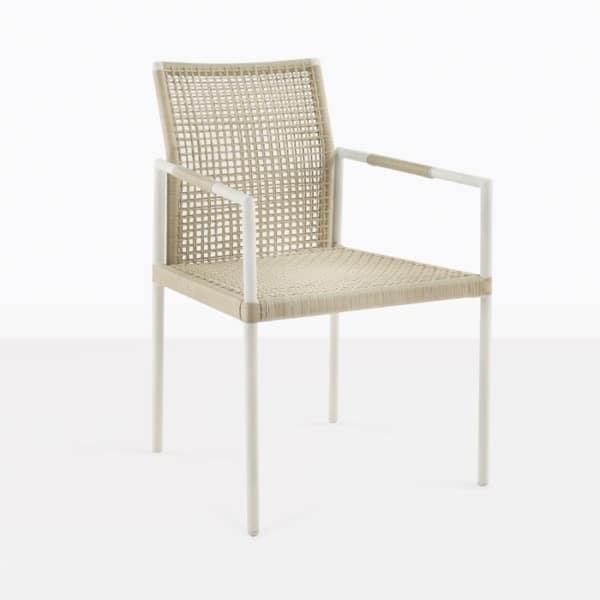 The Moderno outdoor dining chair is a slim, minimalist chair; lightweight, strong and beautiful made with powder-coated aluminum and an innovative Ecolene® outdoor string, a woven strand that is made specifically for the outdoor environment. 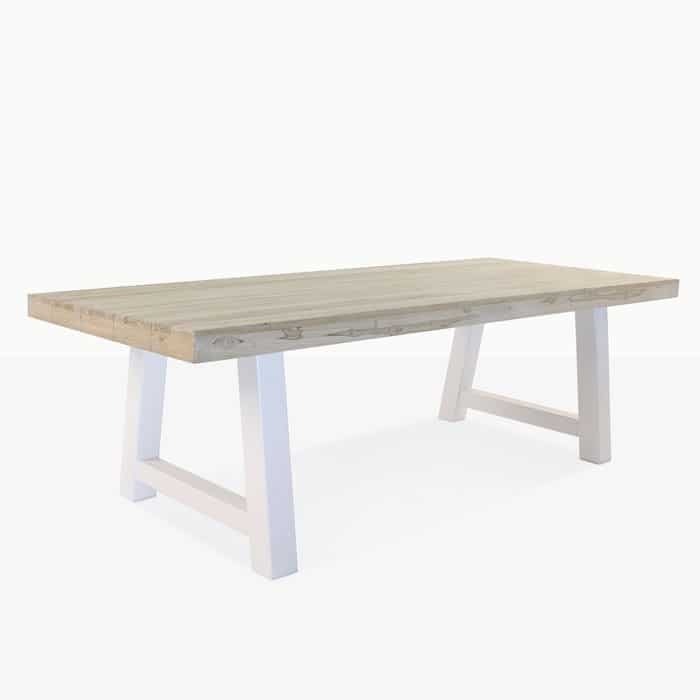 The Village trestle table is a beautiful, heavy reclaimed washed teak tabletop finished to give it a lighter look; set upon, substantial white powder-coated steel legs. 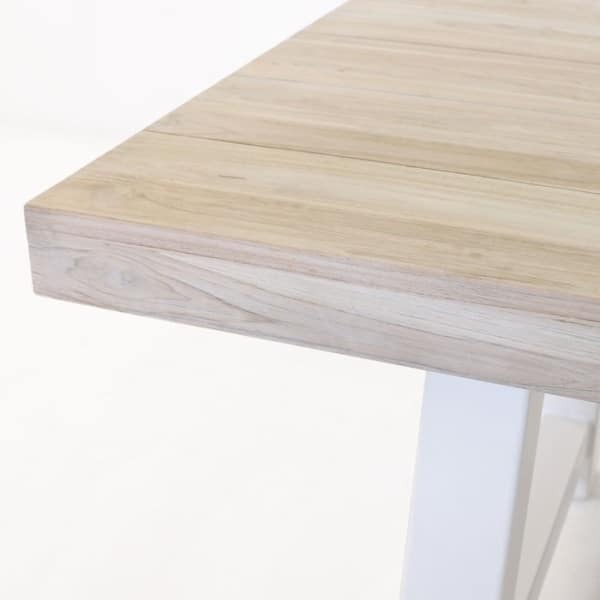 What you get with this fantastic dining set, is a solid, stable dining set with impeccable style and versatile capabilities.